Made in 1978, The Ice House is the final entry in the original run of the BBC’s A Ghost Story for Christmas series. A contemporary set, non M.R. James story and minus the directing talent of Laurence Gordon-Clark, this is perhaps the most far removed film from the original intentions of the annual seasonal treat. But like the disturbing Stigma from the year before, The Ice House still deserves a nod of recognition. Where Stigma is harrowing to watch, The Ice House is effective by being chillingly weird. It was written by John Bowen, who also penned the cult Play for Today Robin Redbreast in 1970. In The Ice House John Stride is Paul, a man who visits a health spa in the country. He’s a lonely character, dropping into conversation that his wife has recently left him. There’s a generally odd air about the spa created by the almost unsettling calm of everyone and Paul becomes fascinated by the lightly incestuous siblings who manage the hotel and the eerie brick “ice house” out in the grounds. A suggestively shaped hole in his bedroom window also helps to add to his gradual feeling of chill. The Ice House reminds of several other, and ultimately better, entries in the series, for example the gently macabre tone of Lost Hearts. There’s also the James theme of middle aged gentleman searching for and being drawn towards something evil, although this time it isn’t really clear what the motives are. And like all of the Ghost Stories for Christmas films before it, this one doesn’t end well for the protagonist. Christmas Day television ended transmission on BBC1 for Christmas Day Monday 25th December at 1135 pm with The Ice House. For an audience treated to an evening’s viewing of Mike Yarwood, True Grit: A Further Adventure with Warren Oates and Michael Parkinson talking to Arthur Askey it was probably a welcome relief. ITV offered an alternative with Ghost Story (1974) starring Larry Dann, whilst switching back to BBC2 at half past midnight offered the intriguing Late Night Story: Tom Baker reads The Emisary by Ray Bradbury. And as for Lawrence Gordon-Clark, he moved over to ITV to direct a 1979 version of Casting the Runes starring Iain Cuthbertson and Jan Francis. Clive Exton (who wrote Stigma) adapted the original James story. This one is well worth catching. 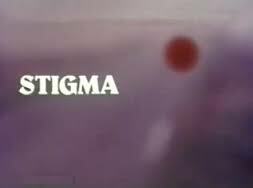 Stigma was the BBC’s 1977 Ghost Story for Christmas offering. This was a radical departure for the series with a new story by Clive Exton in a contemporary setting. The only link with the previous films is director Laurence Gordon-Clark, who explains in a DVD extra from the 2012 box set that the production team had exhausted all further options of M.R. James adaptations for budgetary reasons and hence looked towards new material. Stigma is often ignored and I’m not aware of it ever being repeated since the original transmission. I’ve had mixed feelings about the contemporary Christmas films (one more was to follow in 1978) and tended to ignore them myself. Stigma turns out to be a clever and disturbing piece. Full of subtle imagery, Stigma is a tale of blood, with the colour red running right through it. In the country cottage owned by Peter and Katherine, where they live with daughter Verity, there is blood red lingering from the glossy red front door of the house, through deep crimson nail varnish to a mouth watering red joint of beef – the colours seep through the film. Apart from this, Stigma is particularly understated – some snatches of Mother’s Little Helper and a glimpse of Their Satanic Majesties Request (Rolling Stones – geddit?) notwithstanding, there is no soundtrack at all. The film is just half an hour long so it’s quick in execution. Arriving home, Katherine and Verity observe two workmen as they attempt to remove a huge stone from their garden, part of Peter’s plans to extend the path from the cottage. Beyond, in the next field, other stones linger eerily. A gush of wind breezes over Katherine. The stone is only partly shifted, and what follows is a horrible descent into her demise as she begins to slowly bleed. Peter arrives home but is oblivious to her plight, only noticing red wine on her dress. At least the beef is delicious. Verity remains an ambiguous presence to the end. The cast is excellent. A prior To the Manor Born Peter Bowles, reminds what a decent actor he is, and Kate Binchy and Maxine Gordon as Katherine and Verity are also superb. What’s most effective about Stigma is Katherine’s attempt to hide the developing catastrophe, and her frantic efforts to do so are extremely effective. Binchy is very convincing in the role. 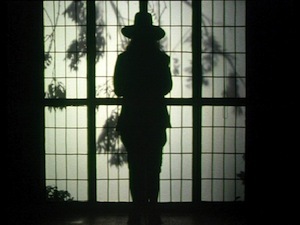 But perhaps too much so – Stigma may not have been well received at the time because it strays far into the horror genre (I’ve filed it as such) much more than the fireside, port sipping territory of M.R.James. This is a shame, and maybe being produced independently from A Ghost Story for Christmas would have given it a greater legacy. I’ve been writing annual reviews of A Ghost Story for Christmas for eight Christmases now. This is perplexing as the original series also ran for eight years and I’m yet to review the last – The Ice House. Spooky. 2013 sees another revival, with Mark Gatiss’s version of The Tractate Middoth. I’m really looking forward to it. Long may the series live. In 1976 the BBC moved away from their usual ghostly M.R. James Christmas offering. Instead, on 22nd December that year, they screened an adaptation of The Signalman by Charles Dickens. 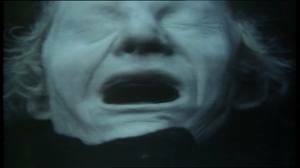 The Signalman is perhaps one of the all time classic ghost stories. Dickens excels in the genre but this is also a brilliant film; a demonstration of how low budget, atmosphere, great writing and performances can create something truly magical. Denholm Elliott as the troubled and ultimately doomed signalman is possibly the greatest asset of this production. Elliott is magnificent, perfectly capturing the edgy and nervous man, condemned to dull, repetitive – yet very important – tasks in his solitary employment. So horribly haunted – he’s actually quite painful to watch at times. Elliott is an actor perhaps not immediately thought of alongside the supernatural, although when you dig there are some gems. Most notably there is his appearance in Hammer’s To the Devil a Daughter (1976) and their tv classic Rude Awakening from 1980, Vault of Horror (1973) from Amicus and some obscure appearances in Mystery and Imagination in the late 60s (as Dracula) and the other tv appearances Supernatural in 1977 and The Ray Bradbury Theatre in the late 80s. But extending this list any further may suggest that Elliott was at times a jobbing actor. The Signalman, however, proves his immense talent. Returning to our 1976 Dickens adaptation, the signalman of the title is troubled by ghosts, each of which has delivered a grim portent. He’s haunted terribly in his lonely employment. The first ghost warns of an awful collision in the tunnel nearby. The second of a young bride falling from a train. Both of these warnings come true, with the signalman a witness to the terrible events. The third tragedy is suggested by a visiting spirit covering its face, waving one arm and repeatedly calling “Halloa! Below there!” The signalman mistakes a traveller – who calls out these very words to him – for the ghost, and nervously invites the stranger (played by Bernard Lloyd) into his signal box. He recounts his tales to him, his attention often snatched by his solemn duties. Ghost Story for Christmas director Lawrence Gordon Clark works up the menace wonderfully and the adaptation is written by Andrew Davies, who tackled both Bleak House and Little Dorrit thirty or so years later. The Signalman offers a cosy sort of terror, with the traveller mostly bemused by the odd railway worker until the eventual tragedy strikes, where the third and final terror strikes on the poor signalman himself. I think, however, by then it was a blessed release for him. Although still a classic to watch, it’s probably not wise to look into the story too deeply. For example, why his employment is continued after witnessing multiple tragedies in the same small stretch of railway. Why didn’t his line manager look closely at health, safety and well being issues? Or at least grant the poor man a spot of annual leave. And so on. But remember, this is Ghost Story for Christmas time. Soak up the atmosphere. Believe.